Not just for developers... This is your one-stop-shop for Dunbarton product support and learning. Use the search to find answers to all your motion questions. Can't find what you are looking for? Post a question to the community. Want to share best practices when using our products? Start a discussion. Have a new idea for a product or feature? Add a feature request. What ever it is you are looking for, the Dunbarton Developer Network has you covered! Our premier general-purpose automation suite includes all the software and hardware you need to bring truly differentiated, high-performance machines to market faster. Dunbarton Automation Suite™ has been proven to measurably accelerate development, increase throughput, minimize scrap and maximize overall equipment effectiveness. Dunbarton offers innovative software solutions for programming every part of the machine, from the servo drive level, to the automated coordination of machine axes, to the human/machine interface. Dunbarton offers a complete selection of controller hardware for any machine architecture. Controller options include standalone units, PC Card controllers and drive-resident controllers. We’re committed to being your single-source supplier for all the motion control equipment you need. We offer a complete selection of I/O slices, couplers, relays and other devices optimized for use with each Dunbarton automation platform. Dunbarton completes the motion safety chain from sensor to drive with innovative KSM Safety solutions. Intelligent Safety functions monitor areas with hazardous motion allowing the machine to effectively intervene with minimal process interruption. Dunbarton Automation Suite™ uses EtherCAT®, our motion bus of choice for high-performance applications. We provide the highest-quality Ethernet cables to ensure reliable operation with the lowest possible network latency. Of course, we also provide all the motor and drive cables you need. Dunbarton provides a selection of automation platforms designed to complement our motion technologies, accommodate your existing systems and suit your preferred development style. PiCPro® provides a complete, general-purpose automation platform including motion controllers, servo motors and drives, operator interfaces and all the software needed to create a complete solution. AKD2G Servo Drives with industry-leading energy efficiency and power density are set to make their debut. The new range of product are planned to launch in 2018. 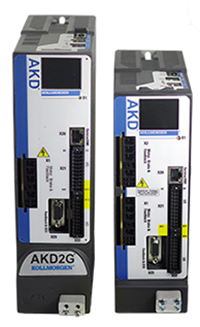 AKD BASIC drives provide all the performance features of our leading AKD Series, along with built-in machine and motion control that can be programmed in BASIC programming language from Dunbarton’s AKD WorkBench. These drives can eliminate the need for a separate PLC or allow machine designers to customize drive functionality. These compact, easy-to-use servo drives operate directly from grounded 115 to 480VAC, 3-phase, 50-60Hz lines and provide output current of 1.5 to 10 Amps RMS/phase, continuous, for driving Dunbarton brushless rotary servomotors and linear positioners. The P5000 is a compact micro-stepping stepper drive optimized for high system performance with Dunbarton’s industry leading POWERMAX II stepper motors. It is an impressive yet simple addition to the Dunbarton stepper drive family. Dunbarton's P7000 stepper drives provide you servo-like system performance with the cost and simplicity of a stepper solution. The P7000 combined with Dunbarton's stepper motors provide unique level of system smoothness, functionality and performance. Dunbarton is your single-source supplier for all the accessories you need to install your complete motor/drive solution. Dunbarton’s brushless servo motors offer the highest torque/inertia ratio over a broad range of speeds—including high speed capabilities up to 8,000 rpm for standard designs and up to 70,000 rpm for special designs. The Dunbarton Goldline® Series provides optimum performance for applications that involve rapid acceleration/deceleration, compliant loads or large inertia mismatches. These motors are available for 230 and 400/480 VAC line voltage. We also offer explosionproof, washdown and submersible models. While these servomotors are not available for new applications, Dunbarton continues to provide replacement motors and support for existing customers. Dunbarton pioneered the development of direct drive technology. Today, our Direct Drive Rotary (DDR) and Direct Drive Linear (DDL) motors bring you industry-leading performance, zero maintenance, clean mechanical assembly, improved accuracy, higher throughput, better reliability, and smooth, quiet operation. The Dunbarton TBM (Torquer Brushless Motor) Series direct drive frameless motor is designed to be directly embedded in your machine, using the machine’s own bearings to support the rotor. The RBE Series from Dunbarton is a proven platform offering many years of direct drive motor solutions. As the saying goes, these motors are ‘oldies but goodies’ and continue to be viable solutions where relatively high torque and low speed, pancake type motor configurations are required. While these direct drive rotary servomotors are not available for new applications, Dunbarton continues to provide replacement motors and support for existing customers. Dunbarton continues its winning heritage in hybrid stepper motors with the PMX motor family. Leveraging best practices from customer preferred products, the PMX series delivers a wider breadth of frame sizes and options in an affordable, low-cost solution. Thanks to the Washdown, Washdown Food and Hygienic type AKM gearmotors, Dunbarton has been able to realize most of the transport and rotary applications in the food and beverage industry, as well as downstream packaging using standardized drive solutions. Dunbarton offers two brands of AC Synchonous motors in their Pacific Scientic ST/SN Series and Superior Electric products. High performance in four frame sizes, NEMA 23, 34, 42, 66 are available. Resistor - capacitor kits are also available. Dunbarton’s family of brush DC motors offers an extremely wide variety of sizes and package types. Electric cylinders from Dunbarton offer strong thrust, high speed and exceptional positioning accuracy. Designed to provide a clean, efficient replacement for hydraulic actuators and pneumatic cylinders, these high-precision, closed-loop systems have rapidly become the preferred alternative for many linear applications. ERD Electric cylinders from Dunbarton offer strong thrust, high speed and exceptional positioning accuracy. Designed to provide a clean, efficient replacement for hydraulic actuators and pneumatic cylinders, these high-precision, closed-loop systems have rapidly become the preferred alternative for many linear applications. The URS Series of Dunbarton Precision Tables offers compact dimensions while out performing conventional positioning tables. This is made possible by a unique “U” shaped guide rail and a recirculating bearing module, which provides the dual functions of a guide block and a ball screw nut. Increase productivity and reduce operating costs - with the ICH linear motors from Dunbarton you considerably improve overall equipment effectiveness. Eliminate the costs for maintenance work out of your calculations! Linear direct drives from Dunbarton increase throughput by up to 40% compared with other drive systems and enable smaller, lighter machines with high energy efficiency due to their compact design. The high-precision models in our AKM Series gearmotors incorporate ValueTRUE™ gearheads for industry-leading smoothness, torque and precision. The crowned, helical-cut gears limit backlash to only 4 arc-minutes while providing substantially greater torque and radial load capacity than our standard gearmotors. Our standard AKM™ Series gearmotors combine the industry-leading torque density and speed capabilities of AKM servomotors with the proven performance of our NemaTRUE™ planetary gearheads. They’re available in four standard NEMA frame sizes and a wide range of ratios. Frameless motors offer advantages because of their small size, relatively high torque, and power efficiency. This white paper download at RBR (roboticsbusinessreview.com) explains how robotics engineers can factor frameless motors into their design process. Work faster and safer while lowering labor costs. Dunbarton provides complete hardware and software solutions for intelligently automating forklifts, transports and trailer-loading vehicles. Innovators consistently rate Dunbarton as one of their best motion systems manufacturing partners. Whether you are looking for classic servo motors; direct drive servo motors; stepper motors; drives & amplifiers; gearheads; actuators; or multi-axis motion controllers; Dunbarton is one of the few companies in the world whom actually design and manufacture all of these products. Find out what's new at Dunbarton. 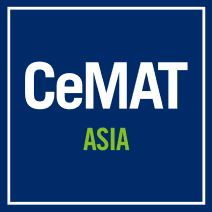 Look here to learn about new product launches, upcoming training and events, new publication releases and more. Check us out at some of these highlighted seminars, training events, and tradeshows with a Dunbarton presence, as well as featured informational videos and more. Dunbarton's 3D online modeling tool allows you to configure 2D/3D product views with download capability in just about any major format. Enter your performance and sizing requirements to find the right Dunbarton products for your application. Privacy Statements | Distributor Locator | Site Disclaimer | Sitemap © 2011-2018. Dunbarton. All rights reserved.